A long week at work sometimes calls for a relaxing glass of wine. 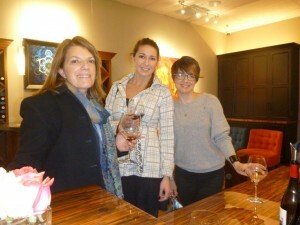 We had a fun visit with the Talmadge Construction crew at Armitage Tasting Room in Aptos. In this photo are Adele Talmadge and Nicole Brown, designer for Talmadge Construction. Jeff Talmadge was the photographer. 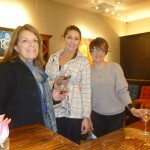 Talmadge Construction was responsible for the design and build out of the cozy and beautiful tasting room in Aptos — it’s definitely worth a visit!